The second of two summer musicals performed at the Domino Theatre. The first of two summer 2018 musicals performed at the Domino Theatre. Part of the 2018 Juvenis Festival, the all high school musical project is back, the cast, band and crew of this production are all high school students, with University students becoming mentors in production roles. Kicking off 2018 with the first production programmed by the new Artistic Director, returning to the Baby Grand Theatre for a 2 week one in Blue Canoe's traditional January spot. Part of Blue Canoe's 2017 summer schedule called "Summer Knights", played at the Domino Theatre, as of 2017 became the 4th highest selling Blue Canoe show of all time behind The Producers, Anne & Gilbert and A Chorus Line. Part of Blue Canoe's 2017 summer schedule called "Summer Knights", Man of La Mancha played at the Domino Theatre for 9 performances. Part of the 2017 Juvenis Festival, Zombie Prom is an all high school cast with the University Production Team, this project helps to connect high school students with Blue Canoe, the Baby Grand Theatre. The first original musical to be produced by Blue Canoe, part of the 2017 Juvenis Festival, this musical was written by Ryan Cowl, a Blue Canoe alumni who worked on Chicago, A Chorus Line, Title of Show and Peter & the Starcatcher. A January production back at the Baby Grand Theatre featuring 2 stellar reviews of the show and a 3 week run of this Tony-Award winning play based on a series of best-selling novels. This summer production was Blue Canoe's entry into the second Kick & Push Festival, it was performed at the Baby Grand Theatre to a small audience at each performance, set up in a cabaret style. This collaborative production was produced from the first youth arts festival in Kingston, the Juvenis Festival. Though Blue Canoe was credited as a producing company for expenses, a group of 5 students from Queen's University took on the performance and production elements. This production was produced in partnership with Reelout Arts Project as part of the first youth arts festival in Kingston, the Juvenis Festival at the Baby Grand Theatre. 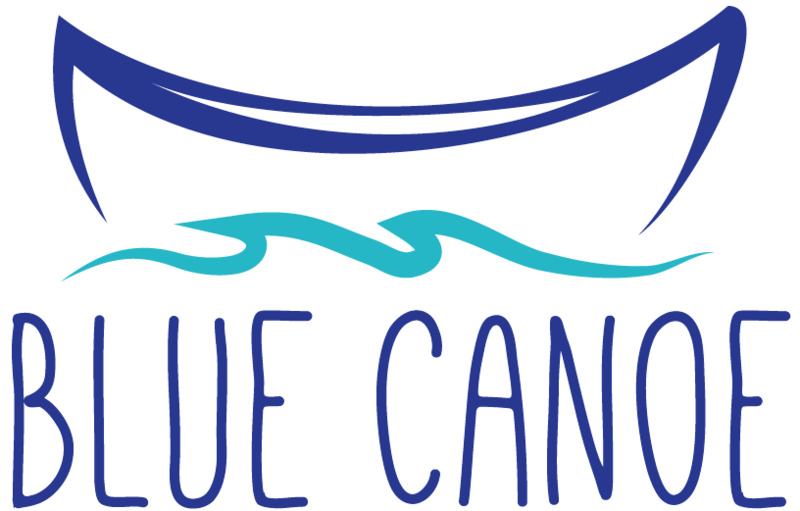 Blue Canoe's 30th production, part of the first ever Kick & Push Festival, a new summer theatre festival in Kingston, third highest selling Blue Canoe show of all time. Blue Canoe's first production on the main stage of The Grand Theatre, produced in the summer, featuring the second largest cast and second largest total attendance in Blue Canoe's history. This production was produced at the Baby Grand Theatre in April, this was the first attempt at a mentorship production, featuring a production team of paid professional theatre artists. A January production at the Baby Grand Theatre, 5th highest selling Blue Canoe show of all time and second highest in the Baby Grand. A found space theatre show, produced in the fall of 2013 in the old jail cells, basement of Kingston's City Hall, this production featured only 10 audience spots per performance. Summer production of the Canadian Musical, the highest selling Blue Canoe show and the first to take place at the new Domino Theatre. January production at the Baby Grand of the Canadian Musical, 4th highest selling Blue Canoe show of all time and the highest selling at the Baby Grand. The Kingston debut of the musical comedy featuring puppets. This production was part of a Summer Arts Showcase produced by Blue Canoe at the Baby Grand Theatre. The Kingston debut of the musical drama, part of a Summer Arts Showcase produced by Blue Canoe at the Baby Grand Theatre. The second all high school cast Blue Canoe show, featuring a production team of Queen's education students. Musical production produced at the Baby Grand Theatre to a nearly sold out two week run, featuring an all female cast. After a planned summer 2011 production was canceled, this show was moved to January of 2012 at the Baby Grand Theatre and ran for a 3 week sold out run. Tony Award Winning play produced at the Baby Grand Theatre in October featuring an all male cast. Comedy based on the youtube hit by Joss Whedon, featuring a series of scenes and songs at the Time to Laugh Comedy Club. January production of the Broadway Musical at Convocation Hall, Queen's University. The Kingston debut of the Jonathan Larson auto-biographical musical, never finished by Larson before his death, Blue Canoe's first show in the Baby Grand Theatre. Production produced at the Firehall Theatre, 1000 Islands Playhouse in Gananoque during their off season. Kingston debut of the two-hander musical produced in the former studio 102 in Queen's Theological Hall. The Kingston debut of the musical by Jonathan Larson at the Octave Theatre. The formation of Vagabond Theatre (now Queen's Vagabond) after this production at the Wellington Street Theatre. Blue Canoe's first Kingston summer musical, produced at the Wellington St Theatre.